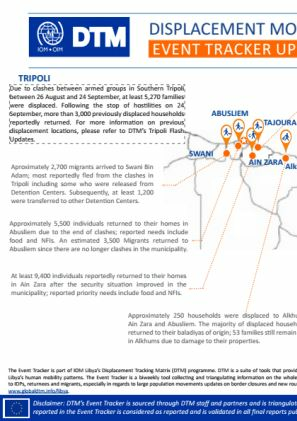 Due to clashes between armed groups in Southern Tripoli between 26 August and 24 September, at least 5,270 families were displaced. 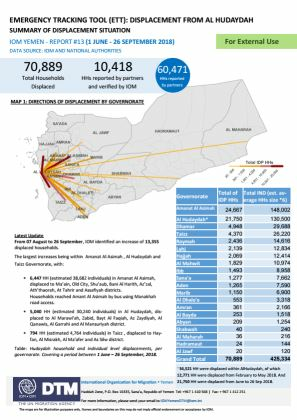 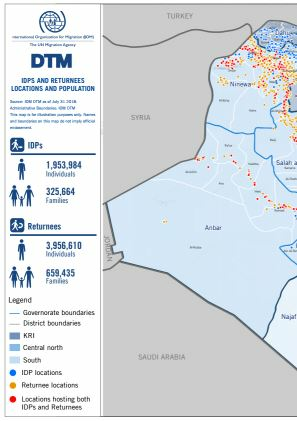 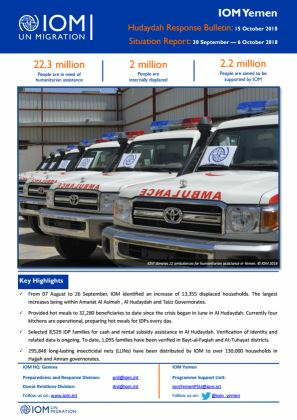 Following the stop of hostilities on 24 September, more than 3,000 previously displaced households reportedly returned. 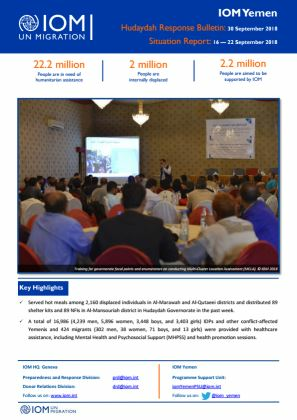 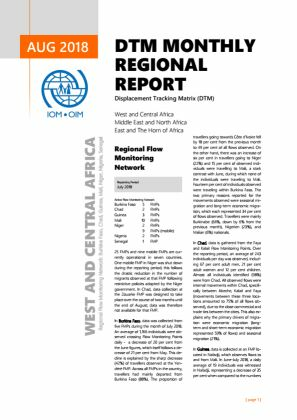 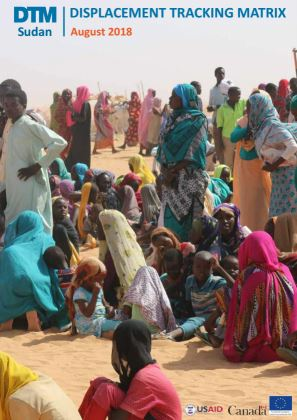 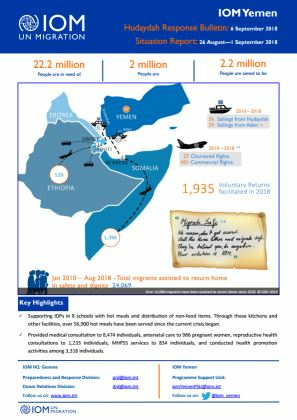 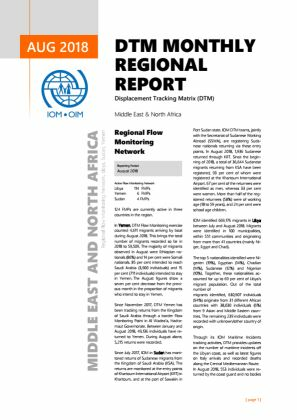 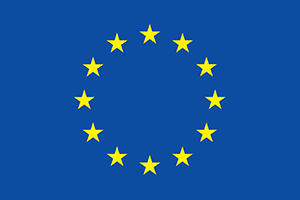 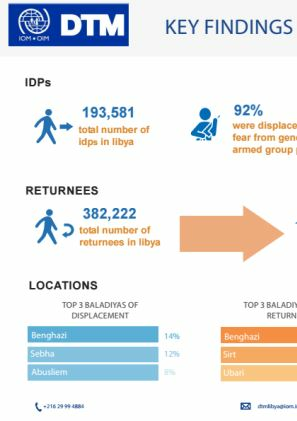 This publication presents DTM’s Round 21 key findings on Libya’s IDP & Returnee populations. 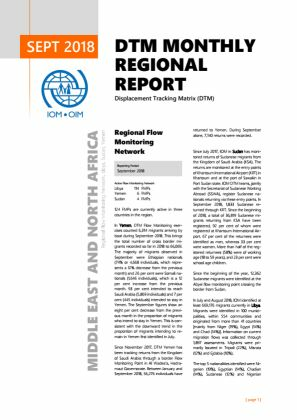 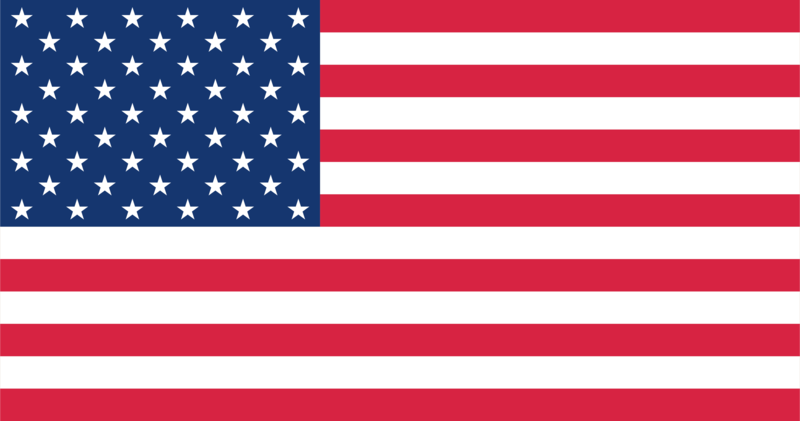 DTM’s Round 20 covers the period of July and August 2018. 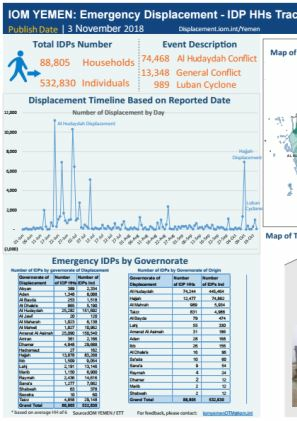 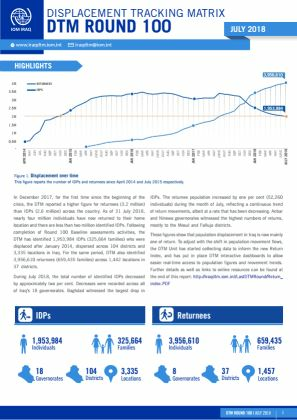 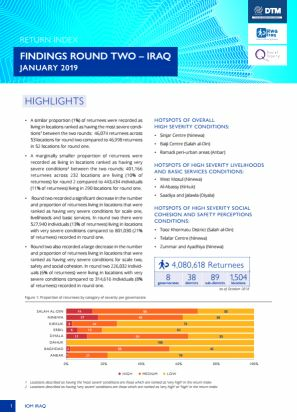 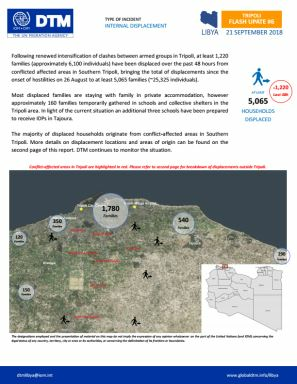 The publication presents DTM's Round 21 complete information packages on Libya's IDP and Returnee Populations. 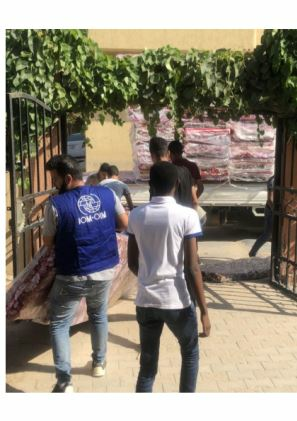 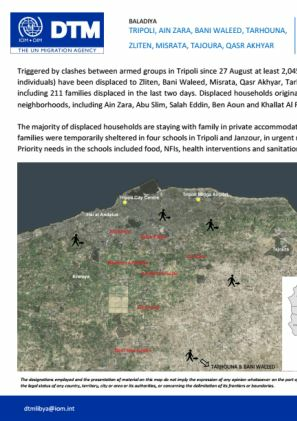 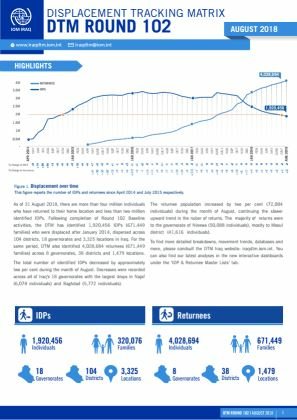 After the onset of clashes between armed groups in Tripoli on 26 August, at least 3,845 families (approximately 19,225 individuals) have been displaced.